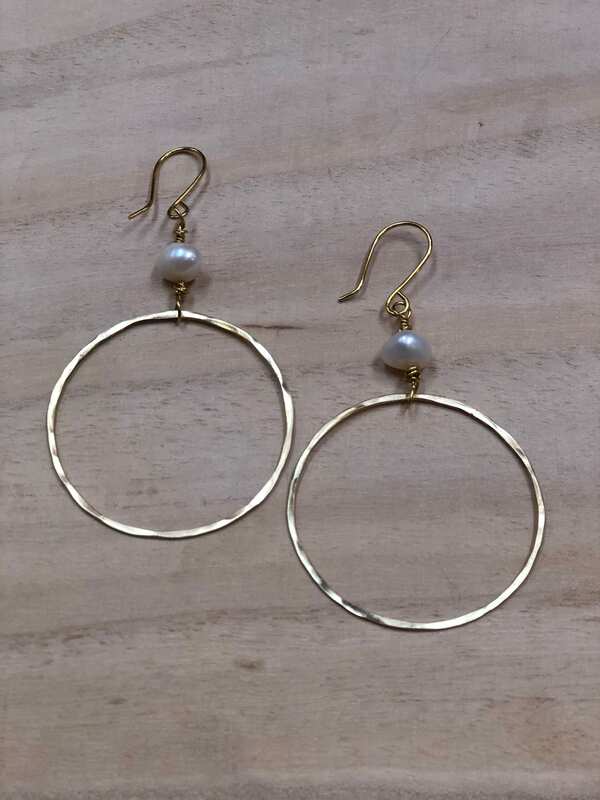 Hand Formed and hammer hoop earrings with wired Freshwater Pearl. These earrings are feather light, elegant and go with everything! Hoop measures approximately 1 1/2 inches.